ARE THESE YELLOW/RED/GREEN OLD MURANO GLASS VASES PLEASE? 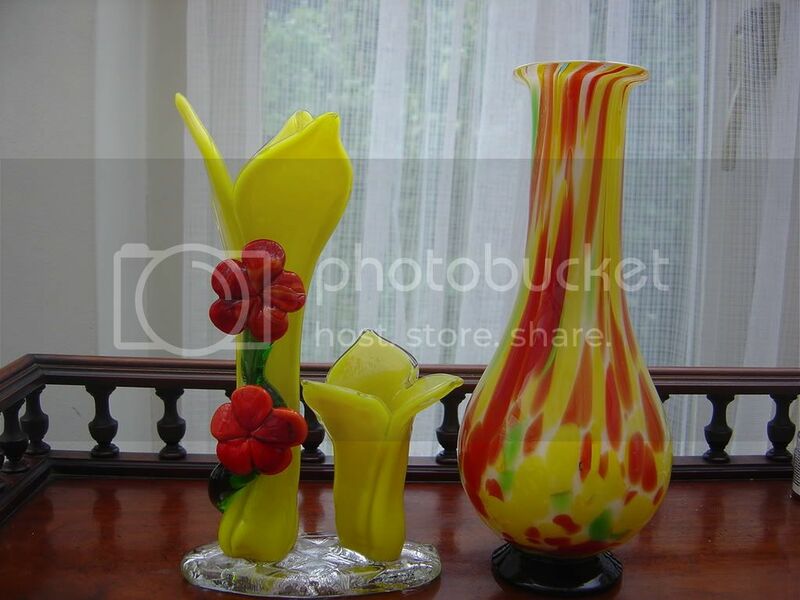 Topic: ARE THESE YELLOW/RED/GREEN OLD MURANO GLASS VASES PLEASE? Please can anyone help me identify these vases? The one on the left is two yellow vases, cased in clear glass and joined by a clear glass base which has a diamond pattern impressed mark under. The vase on the right is white inside and has a dark green glass foot with a rough pontil under. I've put them together because of the colours but they may be completely different maker and age.